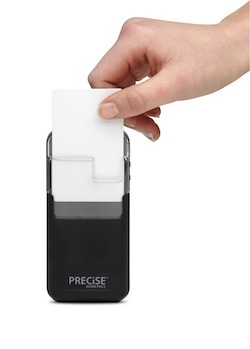 Precise Biometrics announced that it is releasing its Tactivo smart casing for the iPhone and iPad in combination with the secure browsing software from Thursby Software. The new Tactivo/PKard bundle combines the Tactivo smart card reader and fingerprint sensor hardware with the Pkard Reader v1.1 app for access to Web email, portal, and collaboration sites with two-factor CAC or PIV smart card authentication and FIPS 140-2 security. Special introductory pricing of $249 for the iPhone bundle and $299 for the iPad bundle – $50 off the regular bundle price – creates value for any Federal budget. The PKard Reader v1.1 app is currently available free on Apple’s App Store and future releases will be available to bundle purchasers at no additional cost.